This trip is a great collection for visual, festive activities for the High-Minded tourist. Ha. We’ll show you the Mile High City of Denver, put you on two train rides, let you watch over 70 Hot Air Balloons ascend into dawn sky of Colorado Springs. This is a shorter economical option to our Railroads of Colorado and New Mexico. Space is limited. Book now. 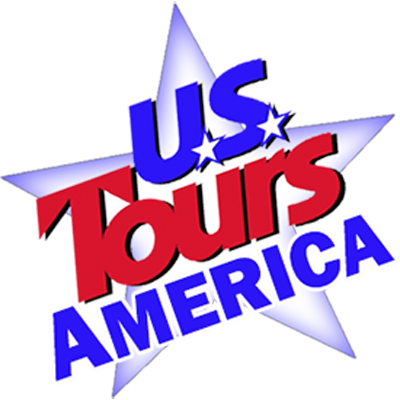 What do you want, U S Tours will be happy to structure tour prices to match your needs. Just let us know what you want. Day 1 – Denver – Today, you arrive in Denver, CO. You check into your hotel for a two night stay. Dinner is on your own this evening. Day 2 – Denver – Georgetown Scenic Railroad – Coors Brewery – This morning, head to Georgetown, CO (at 8,500 feet she was once known as the ‘Silver Queen of Colorado’) here your first train ride is on the Georgetown Scenic Railroad. This old-time steam locomotive chugs its way up the canyon, hauling your train past the remains of several gold and silver mines. This open car train takes you between Georgetown and Silver Plume, over 2 miles apart, over mountainous terrain, requiring trestles, cuts, fills, loops, and curves totaling 3.1 miles of narrow gauge track. Then you tour the Lebanon Silver Mine, taking you 500 feet into a mine tunnel bored in the 1870s. Your guide will point out rich veins of silver and tell you about early-day mining. The temperature inside the mine is a constant 44 degrees Fahrenheit, so bring a jacket. The tour also includes visits to the manager’s office, the miners’ change room and the tool shed. Next, tour the Coors Brewery. Since 1873, the Coors Brewery has thrived on a legacy of quality, innovation and customer service. The tour showcases the company’s history and passion for brewing. Your tour takes place in the world’s largest single-site brewery. The brewery experience includes a 30-minute tour highlighting the malting, brewing and packaging processes. Cool off in the “fresh beer room,” where you can sip a cold sample and rest on ice-cube benches in a refrigerated room. Tonight, dinner is included at a local restaurant. Day 3 – Colorado Springs – USAF Academy – Hot Air Balloons – This morning, you head to Colorado Springs, CO. On arrival, you tour the United States Air Force Academy (as available). At the Visitors Center, you’ll see displays about the Academy and a movie on Cadet Life. There will also be time to walk to the Cadet Chapel. Later this afternoon you check into your Colorado Springs hotel for a two night stay. This evening, you arrive on the grounds of the Colorado Springs Labor Day Lift Off, the largest hot air balloon festival in the Rocky Mountains. Here you will find food vendors (for dinner on own), souvenir stands, live music and over 100 Hot Air Balloons preparing for the Night Glow where the hot air balloons are filled with air at nightfall but do not launch. They glow huge and beautiful against the evening sky. Day 4 – Mass Ascension – Royal Gorge Railroad – Garden of the Gods – After a pre dawn hotel departure, you return to the Colorado Springs Labor Day Lift Off. This morning’s highlight is the mass ascension when over 70 hot air balloons take to the air. Did you know air balloons are 8-10 stories high? And in Colorado Springs, Balloonists are by invitation only assuring that the festival has one of the most exciting and safest competitions in the world. Following the Morning Ascension, you travel to nearby Canon City for a ride on the Royal Gorge Route Railroad. This is an exciting ride alongside the winding, tumbling Arkansas River deep within the soaring, 1,000-foot granite cliffs of Colorado’s Royal Gorge. The Royal Gorge Route is a quality, Colorado attraction – no thrill rides or cotton candy – just rugged scenery. It is also Colorado’s oldest scenic railroad and has brought back a touch of class to rail travel. Late afternoon, you tour the Garden of the Gods Park, a Registered National Natural Landmark in Colorado Springs. Your visit starts with a 14 minute movie on the history. Then a narrator will show you the sights and teach you a little about the park’s geology and Native-American culture. At the conclusion of your tour, you visit the Garden of the Gods Trading Post for souvenirs, Native American Art and Crafts. This is a large wonderful shop, almost a museum and it is filled with treasures. Dinner tonight is here on the patio, under the cottonwood trees. You will also enjoy a local musician performing during dinner. Day 5 – Depart for Home – After breakfast, depart for home.